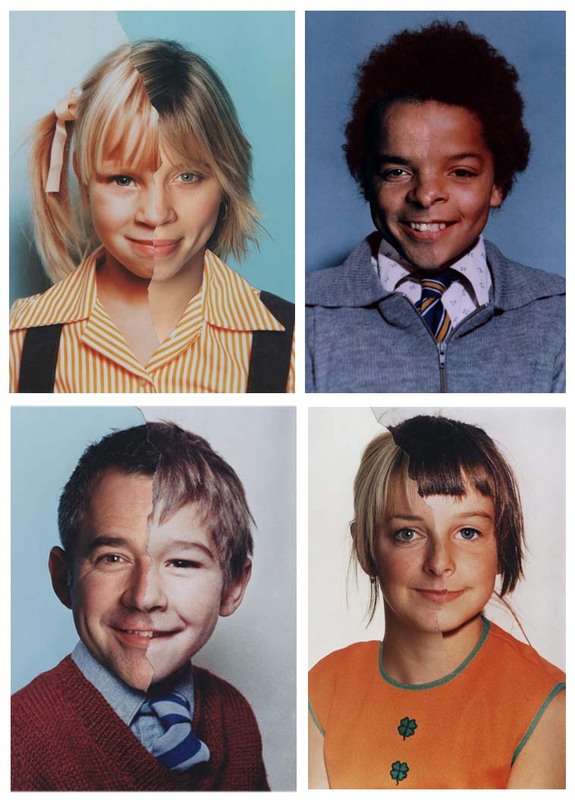 This probably sets the wrong tone but for some reason when I first look at images from Bobby Neel Adams' series "Age Maps" two things quickly pop into my head... the "they're creepy and their kooky" line from the theme song to the Adams Family and the phrase "wicked awesome". I should probably be ashamed of myself. What I have just admitted is a sin against the poor fellas work. I can't help it though, and really all I'm trying to say, fighting my subconscious or not, is that I dig this. If you haven't figured it out these images take an old photograph of a person and combine it with a more recent picture of the same person. The results are pretty odd, especially the black and white examples, which almost resemble shattered porcelain dolls glued back together. I think I am most impressed with the seamless juxtaposition of the faces side by side. His "Family Tree" series succeeds equally, while "Couples" takes the observation often used to describe the overly tightly knit "they're like the same person" to another level. Almost makes you want to be single (or be glad that you are)-- it feels that claustrophobic.